The contentious debate about what to do with Confederate monuments also reminded us to think about how culture is defined. Speaking of culture (and germs), we learned that interactive exhibits can be gross. For those who live in or will visit Washington, D.C., in the near future, I’d heartily suggest a visit to the Smithsonian’s National Museum of American History, and specifically to the new exhibit “The Nation We Build Together.” It features two separate but interrelated galleries — one on democracy and the other on “Many Voices, One Nation.” Both are particularly timely, eerily so. Read more from Jennifer Rubin for The Washington Post. For nearly a century, American Indian jewelers, potters and other artists have been gathering in the heart of northern New Mexico to show off their creations at one of the nation’s most prestigious art markets. 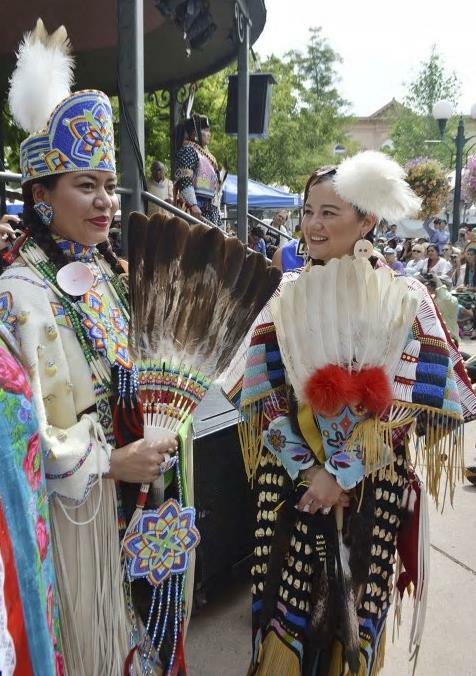 The annual Santa Fe Indian Market begins Saturday as organizers push ahead with raising the bar for showcasing what they say are the best examples of art that has evolved from centuries-old traditions. Some artists and their families have participated for years, but this marks the first time organizers have shifted entirely to a juried application process that has resulted in fierce competition. Read more from Susan Montoya Bryan for AP. Situated in a region where sea level rise has tripled over the past decade and located a short walk from rapidly eroding beaches, the Bass has been forced to reckon with climate change more directly than most museums. “Do we feel comfortable purchasing a very humidity-sensitive watercolor for our collection? 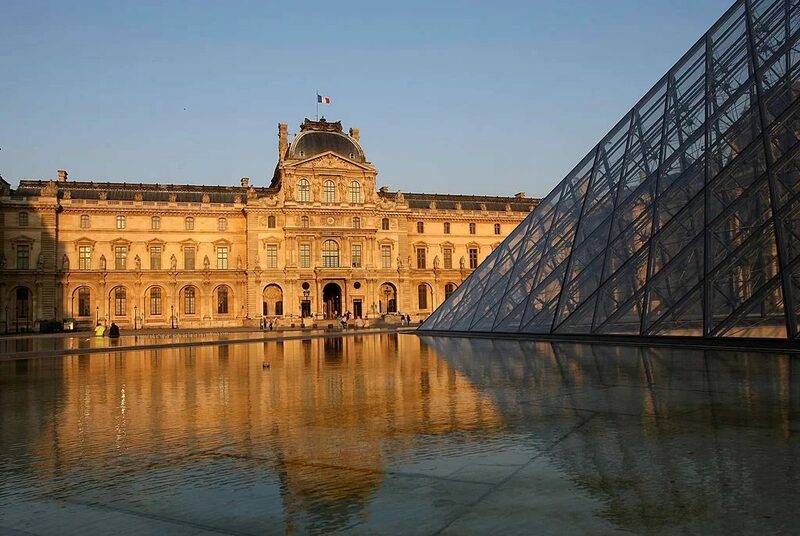 Or a light-sensitive black-and-white photograph?” George Lindemann, the president of the museum’s board, asked in a recent conversation with artnet News. “Probably not.” Read more from Julia Halperin and Naomi Rea for Artnet. Where Do Confederate Statues Go After They’re Removed? In the early hours on Wednesday, a work crew in Baltimore, flanked by police officers, took down monuments across the city dedicated to the Confederacy. The city council had voted on Monday for their removal, and the mayor issued the order. 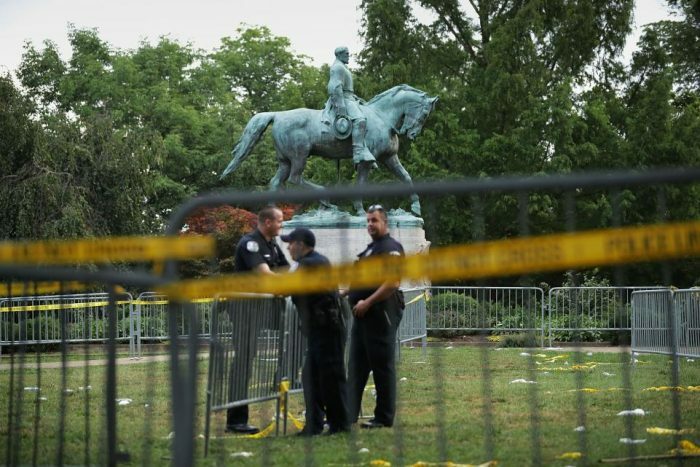 The statues included depictions of the southern generals Robert E. Lee and Thomas “Stonewall” Jackson. 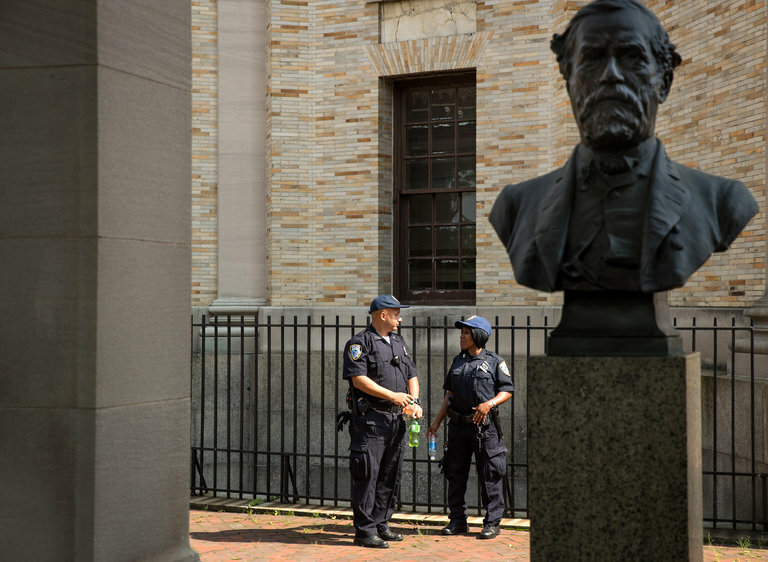 The mayor has suggested the statues be relocated to Confederate cemeteries in other states. Less than two days earlier, in Durham, North Carolina, on Monday evening, protesters had looped a yellow strap around a tall statue of a Confederate soldier that stood outside a courthouse for almost a century. Members of the group yanked the strap, toppling the statue and drawing cheers from the ground. 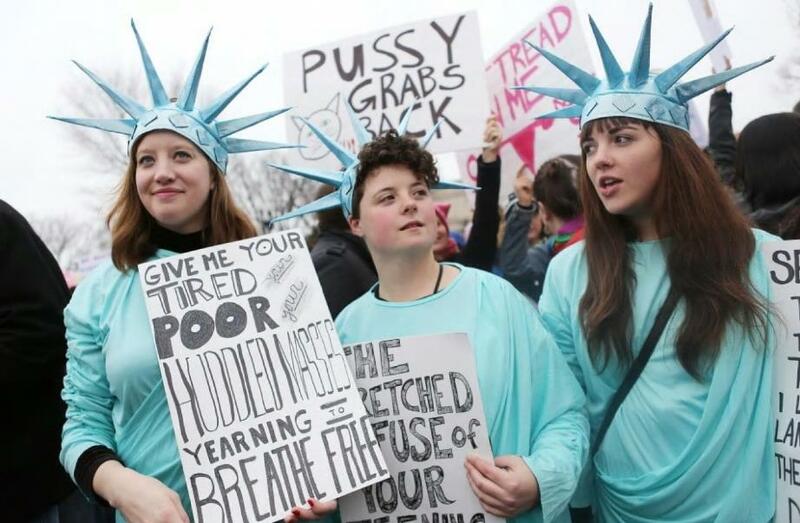 Protesters then ran up to the statue, mangled from the fall, and began stomping on it. Read more from Max Kutner for Newsweek. 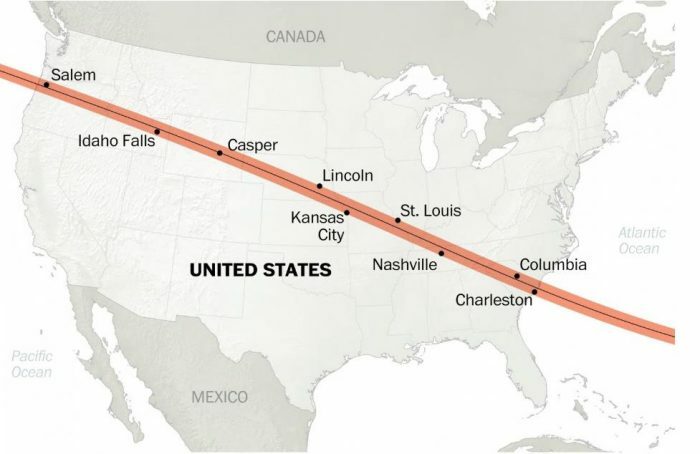 The centerline of Monday’s total solar eclipse comes ashore about 10 a.m. Pacific Daylight Time on the rugged coast of Oregon near a place called Depoe Bay, where 40-ton gray whales spout and feed in the shallow water. At 2,000 mph the line, like one down the middle of a highway, streaks inland south of Salem. It goes over an extinct volcano in Idaho, a Stonehenge-like sculpture of junked cars in Nebraska, and crosses the Missouri River blocks from where Jesse James was killed. Read more from Michael E. Ruane for The Washington Post. 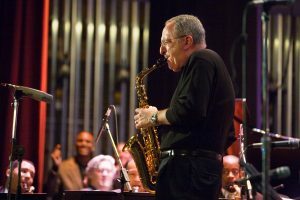 Skorton is pictured here in 2015, performing with the Cornell Symphony Orchestra at My Cornell: A Celebration in Words and Music. 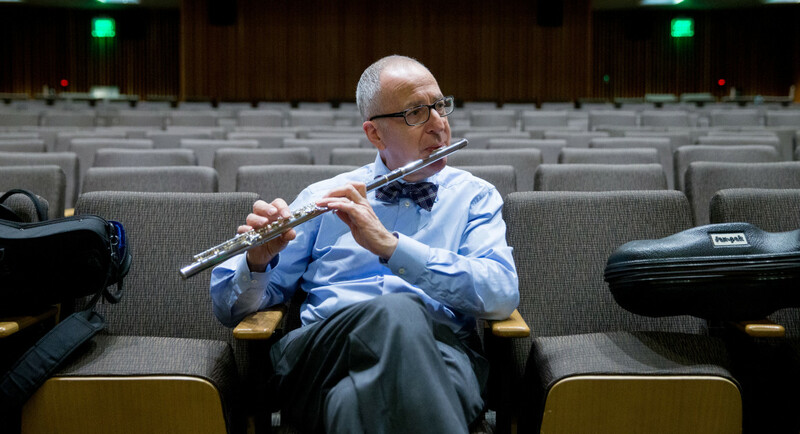 Renowned educator David J. Skorton has been playing music as a hobby for nearly 60 years, so it makes sense that when he first decided to test the waters of online education, he dipped into a music course. “This last year I decided I wanted to learn about music a little more in depth than I had done by being sort of a hack,” he says. Whenever Skorton speaks about music, his language is infused with a humble humor. “In my office here, I have a music stand and a flute,” he says about his current Washington D.C. workspace at the Smithsonian. “At the end of the day I play sometimes, when there is nobody around that I can torture.” Read more from Berklee Online. Part of the Smithsonian Castle caught fire Wednesday, forcing the closure of the building until Thursday. News4’s Tom Sherwood takes a look at the damage. Watch the complete report. 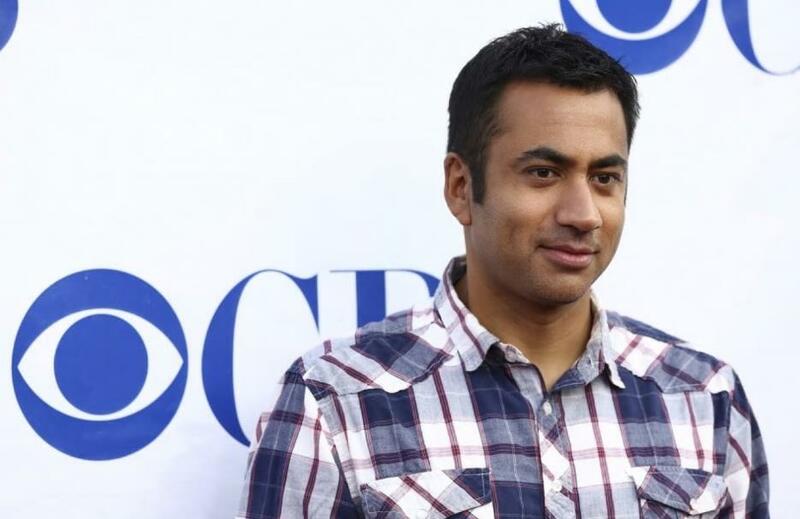 Members of the President’s Committee are drawn from Broadway, Hollywood, and the broader arts and entertainment community and said in a letter to Trump that “Your words and actions push us all further away from the freedoms we are guaranteed.” Read more from Ed O’Keefe for the Washington Post. Smithsonian Secretary David Skorton initially thought a search firm had the wrong mail merge when he was contacted about the position more than two years ago. “To this day it is possible they did have the wrong mail merge,” he joked in an interview with Playbook in his office in the Smithsonian Castle last week. “I guess they couldn’t get their first 26 candidates.” The cardiologist and former president of Cornell and University of Iowa just passed the two-year mark at his newest job, where he is charged with overseeing the institute’s museums, national zoo and partnerships with over 200 affiliate museums across the country. Skorton, who helped celebrate the Smithsonian’s 171st anniversary last week, said that while the scientific and historical aspects are perhaps the most known, the arts are just as crucial a part of the institution’s mission: “I didn’t want to use a stethoscope to make a living, I wanted to use this,” he said, pointing to a flute he keeps in his office next to his desk. “That’s my advocation. I spend a lot of time on music. I feel like I come partly from the arts in my heart.” Read more from Zach Montellaro for Politico Playbook. Can high culture make you sick? 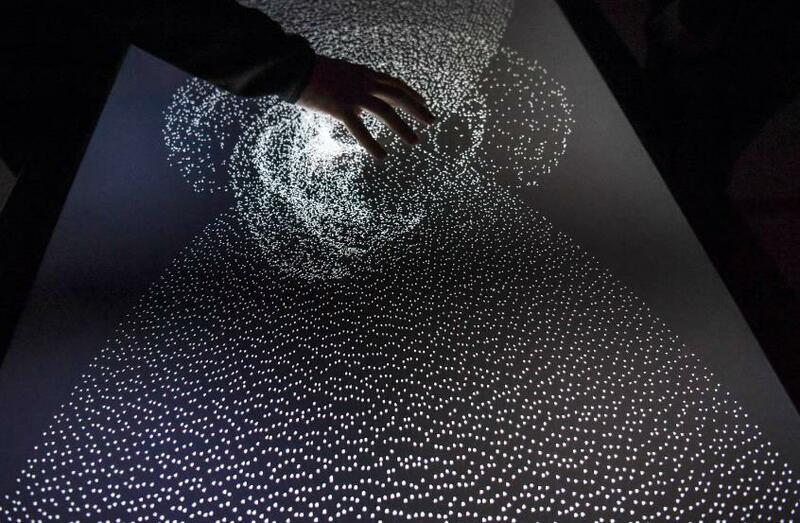 If you touch museum interactive screens, wash your hands afterward. That’s what experts say in an era when museum visitors are increasingly encouraged to handle iPads and other interactives. Staffers tend to clean those daily at best, although researchers have found that digital screens may harbor more bacteria than toilet seats. “There are plenty of documented cases of infections likely being transmitted by objects, such as rails, phones and clothing,” says Jonathan Eisen, a microbiology and immunology professor at the University of California at Davis School of Medicine. Read more from Menachem Wecker for The Washington Post. And Lonnie G. Bunch III, the director the Smithsonian’s National Museum of African American History and Culture, proposes that the dismantled statues be grouped together and contextualized, so people understand what they stood for. Read more from Robin Pogrebin and Sopan Deb for The New York Times.